Opened in Beavercreek in 1994 and relocated to its current location at 3197 Rodenbeck Dr. on Dayton-Xenia Rd. across from the Kroger Gas Station in December of 2018.. 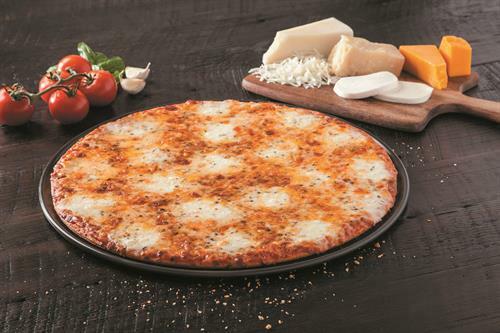 Known for our famous thin, golden crispy thin crust and fresh toppings loaded Edge To Edge and then served in party cut squares. Menu also includes made-to-order signature pizzas, oven baked subs & wings, fresh salads, desserts and shareables. In addition to delivery the Beavercreek Donatos offers dine-in with up to 100 seats available, carryout AND a new Order Ahead Pick-Up Window so you don't even have to leave your car! Our Community Room can be reserved for meetings, parties & celebrations for groups of up to 50 people.. Just call 937-427-5880 to reserve our Community Room. Donatos offers catering services for groups from 100 to 1000 as well. Beavercreek Donatos Community Room available for groups up to 50 people for meetings, parties, celebrations & more!